Dear friends, we certainly would not want to leave you wanting resolution to the burning question on everyone's lips: how did the IPA turn out? Just fine, thank you. In fact, it's delicious. You should try it. Thanks for asking! Kudos to Brooklyn Brew Shop for a great recipe (the grains are a mystery, but it uses a combination of Columbus and Cascade hops and US-05 dry yeast.) Despite our every attempt to ruin this beer, particularly by aerating the bejeezus out of it while bottling, it came out okay. Honestly, the bottling was a frenzy of spraying liquids and curses that could only be done justice by video footage that will someday surface just when we begin our presidential campaign. The magic word if you try this system is "autosiphon". Give 'er a google if you like. But in the end it turned out very well. 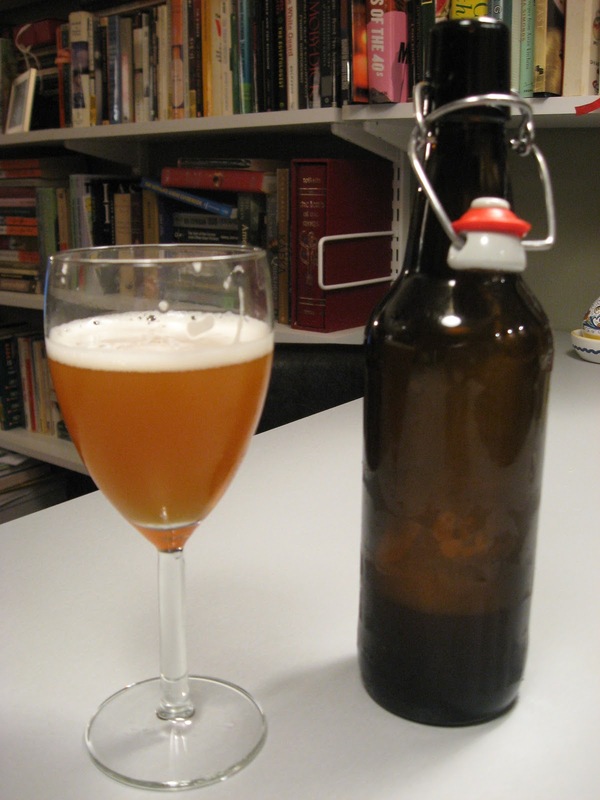 There is a surfeit of amateur brewers on homebrewing forums who are just dying to tell you how it should be done. Shoot, after this ONE success, the pull to advise people as if I was a seasoned professional nearly crippled me (I was forced to kneecap myself. Really. Well, no, not really, but the pull was strong nonetheless, and I had to constantly remind myself that I am, as always, relatively clueless.) So I should just go ahead and admit that it would be more constructive to just show the results. Since you can't smell or taste the beer, let's focus on the look of it. So it looks to me as if the beer continues carbonating and clearing beyond the initial two-week bottle conditioning phase. The taste was essentially the same both times, fruity and aromatic, with a subtle bitterness. 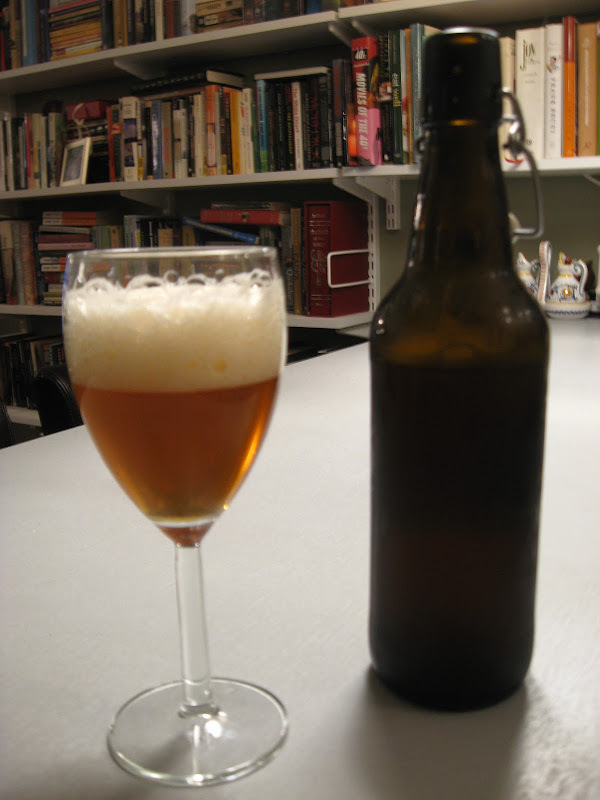 I would say this version resembles an American Pale Ale more than an IPA, actually, but that's my preference anyway. This was satisfying for me on a deep and profoundly narcissistic level. The long wait for the beer to mature really dovetails with our Quail-ly passion for long-term craft projects (i.e. the occasional novel, or physical therapy.) We're pretty excited by how this turned out, and there is already a second beer bubbling away, nearing the time to bottle. We can't wait to try it! Having been lucky enough to experience the beer, I give it two hearty (sloshed) thumbs up!